Now you might think that’s a strange comment, since I talk a lot about how to improve health and safety in small businesses. But I was super excited when he said this – I jumped out of my chair and I yelled “you get it! That’s the secret!” I’ll tell you why, and especially why that smart cookie could be you too. You see the ways you can go about sort out health and safety in your business, are actually the same ways that will improve the productivity of your employees, to become more innovative and efficient, to give your customers a better experience and ultimately to make your business more profitable and sustain that into the future. Working with one of my clients we focussed on safe driving, since they have most of their people out on the road in trucks and cars. They went through the process we call Safety Success, and as a result of that not only were they successful in improving safe driving which was one of their biggest risks, they saw significant fuel savings because of the change in driving behaviour. That’s a direct bottom line saving and a seriously effective approach to reducing one of their biggest risks. Here’s another one: This client of mine thought they were doing a bunch of health and safety things, which turned out to be the little things, the 1 percenters, rather than focussing on the biggest priorities. Sitting through our program together we identified that they were most likely to kill someone because of fatigue – in fact someone nearly died after working a few very long shifts. The process we went through enabled them to get focussed on the big ticket items. As a result of that mindset shift, they figured out that their sales process and people were creating unnecessary time pressure on their operations people, so the demand couldn’t be met, timeframes got compressed and quality suffered as a result. By focussing on a health and safety risk they realised the opportunity to improve how they sales and operations people could work closer to give the customer a better outcome, and reduce fatigue risk at the same time. They also reviewed their customers and got rid of a number of low sales but high-maintenance customers, so they could focus on their most valuable customers – because the health and safety process we went through focussed business owners on the right priorities, the highest leverage things. 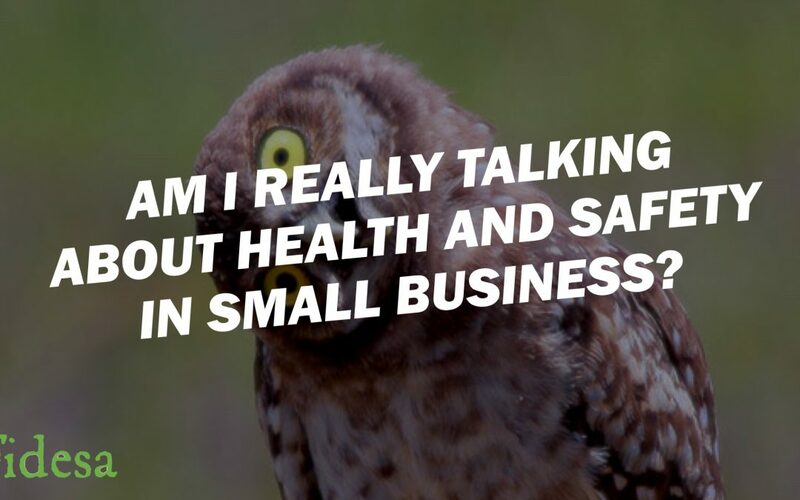 So yeah, when a small business owner realises that whilst I’m talking about health and safety, I’m talking about so much more than health and safety, I get excited, because they get it! I have lots of conversations with business owners, mostly about how they can improve their business. These conversations are usually really interesting, I get to hear lots of great stories, and lessons to learn. 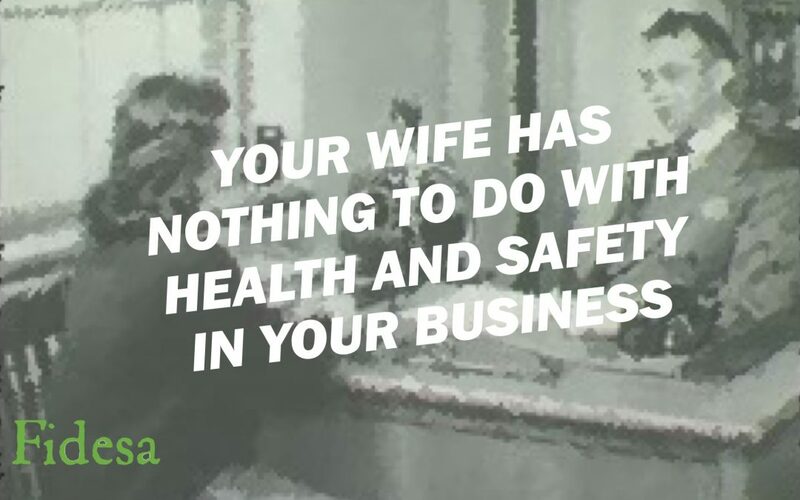 But when it comes to talking about health and safety as one specific aspect of improving their business, the response I often get is “my wife looks after that” or “sure you’ll need to talk to Sharon she does the office admin stuff”. “Do they work in the workshop with you?” or on the tools or in the truck you know whatever the actual work is that they do. “No, she doesn’t do that”. “Well, I guess they are out here in the workshop” (or on the tools or out on site, whatever the case may be). And then the awkward silence……. If that’s like you, it’s not your fault. 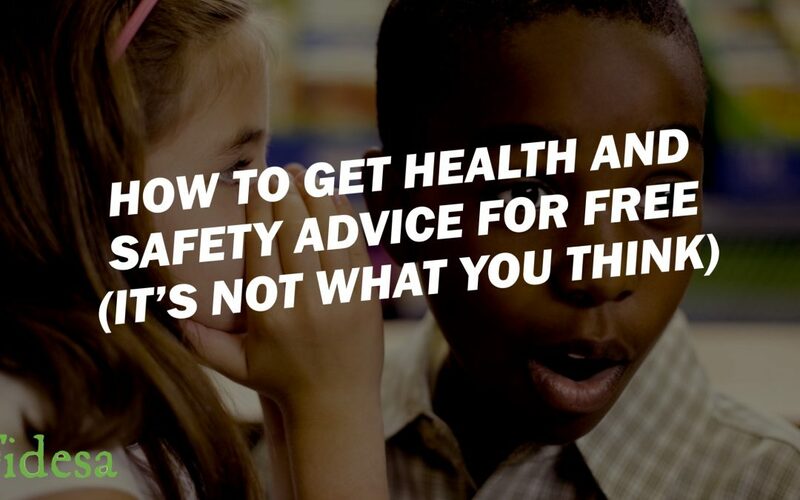 There is a really big problem with the way lots of us learn about health and safety. Health and safety is seen as this complicated, paperwork thing. It’s not, health and safety is about how you improve your business everyday, and it’s not that complicated. So then I say to the business owner, right let’s do some quick maths. John here is your offsider. If John has a serious injury, which could easily happen because of the work you do, John isn’t going to be happy, nor will his family. But that aside, you are looking at hundreds if not thousands of dollars of costs associated with that injury, even with workers comp insurance. With John off, it means your workload doubles which causes issues for you, your customers, maybe the quality of the work. Let’s say you replace John, with a temp that costs you $50/hour. John is off for 3 weeks, which will cost you 6 grand. But you can’t expect a random temp to be as efficient or as good a quality as John, so they might only work at 70 or 80% of John’s capacity given the time it takes to learn, making some mistakes, plus the time you need to spend training them and checking and fixing stuff up. So your actual direct and indirect costs could be closer to 7.5 or 8 or 9 or even 10 grand…..
I’m sure she’s a lovely lady, but in the situations I’ve just talked about, your wife has almost nothing to do with health and safety, even if she does some of the paperwork. You, as the business owner, have full responsibility for health and safety – and if your smart, you’ll look at that as a good thing for your business and the people like John who work for you. Now I’m sure you get how this might apply to you forgetting the gender stuff – if YOU are the wife who run’s the business, and your hubby does the books, you know I’m talking to you. 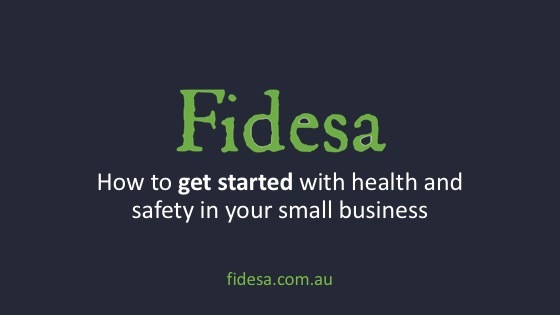 Are you, the business owner, taking care of health and safety business, or leaving it to someone else? What can you to today to get up to speed and take proper responsibility for it? 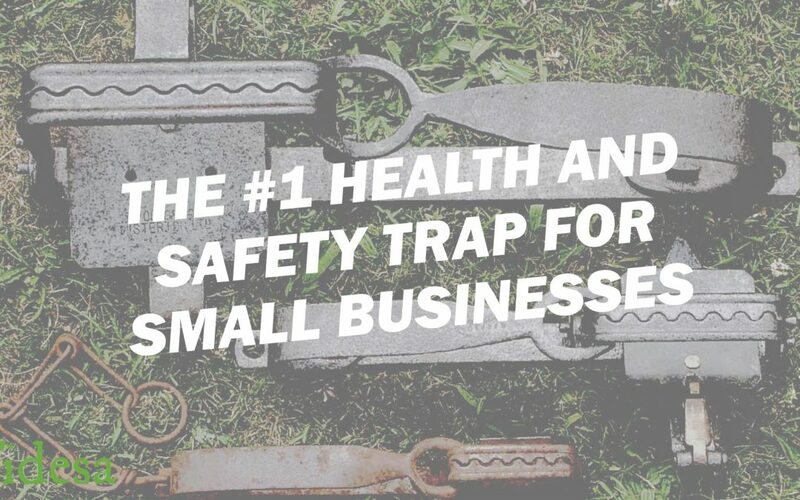 You might also like our video The #1 Health and Safety Trap for Small Biz, which is often a reason for business owners letting someone else take care of health and safety. It’s hard enough running a small business….but it’s worse when you are doing something that you think will work, when it doesn’t. Think advertising that doesn’t make your phone ring, think an accountant who doesn’t help you save on tax, think a client who you do great work for then doesn’t pay the bills. The #1 trap I see small business owners fall into when they are genuinely trying to sort out health and safety….is THIS – reams and folders and gigabytes of health and safety paperwork! Business owners often invest lots of money, or lots of their own time, in creating paperwork which is supposed to help make your business safe and healthy and to keep you out of trouble, to help you sleep better at night. The dodgy thing is that most consultants and most inspectors don’t tell you about the TRAP when it comes to paperwork…..
And if something goes wrong….you are caught in that trap. Not only can it land you in deep trouble with a safework inspector….it didn’t actually help to prevent one of your people getting hurt. Now that’s a real shame, which I unfortunately see all the time. The trap is that when you start working on health and safety by starting with the paperwork, you are starting in the wrong place. Any sort of paperwork that you create needs to be the result of you doing just a few critical things to make sure you aren’t setting a trap for yourself – that your approach to health and safety actually protects your people and keeps you out of hot water. – is it up to date? – does it reflect reality? – was it written by the people actually doing the work? – is it used by the people doing the work? If you answer NO to any of these questions….it’s time to either Update it, Or Delete it. Have you started in the wrong place, with the paperwork? How did you answer Andrew’s questions? What are you going to Update or Delete?